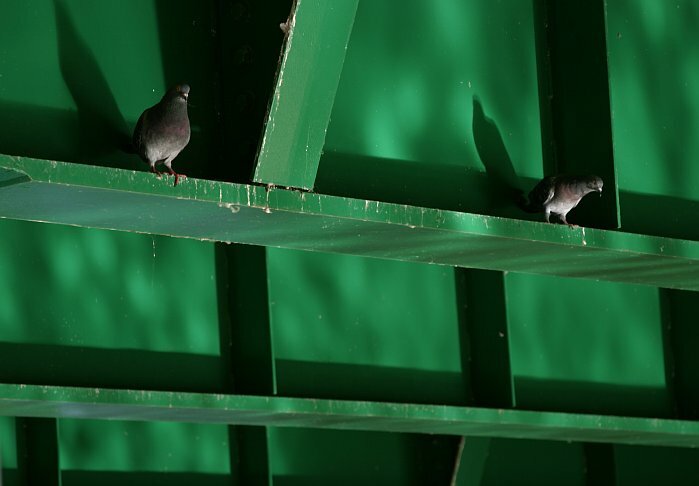 The sun was low, reflecting off the Don river, and the underside of the bridge had recently been painted green. The pigeons liked it, and I liked it enough to take a bunch of shots. I've done no colour manipulation to this photo, just a bit of cropping.